Contact centers know treading on the TCPA and other privacy standards results in penalties and fines. Some organizations recover from these outcomes; others, particularly small operations, face risks ranging from bankruptcy to curtailing business development initiatives. Penalties and fines obviously hurt, but the question remains as to how much they hurt in hard dollars. Read on to discover five of the costliest mistakes in TCPA history and how TCN’s cloud contact center solutions prevent them. GE Capital agreed to a settlement of $225 million in 2014 for its failure to disclose pertinent information to customers called by a contracted contact center. Specifically, the Consumer Financial Protection Bureau (CFPB) charged the financial institution with “deceptive and discriminatory credit card practices.” GE Capital continues to exist today, but the fines and reputational damage it suffered still cause a shudder. Solution: Use the TCN platform, a cloud-based call center, to manage customer data and create single customer records. The accurate and up-to-date contact information helps agents share necessary details with customers. 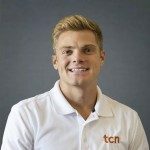 In addition, TCN’s cloud-based call center employs recording and remote monitoring features that can be used for quality control and management. In this 2017 class-action lawsuit, several cruise marketing agencies settled on a payout of $76 million for their use of unsolicited marketing robocalls. Customers filed complaints after receiving what can only be loosely termed as “unwanted” offers. The judge on the case agreed with customers, awarding them settlement funds. Solution: Use the TCN Predictive Dialer to help avoid unsolicited robocalls. The dialer, part of TCN’s cloud-based call center platform: automatically schedules calls for busy lines or no answers, hangs up on answering machines, rotates messages so that customers feel that they’re being called by a real person, and scrubs cell phone numbers from an organization’s contact list in real time. Prior consent is a big deal, as Capital One discovered in a 2014 settlement—the $75.5 million payout broke earlier TCPA violations records. The settlement itself also continues to come up in conversation, largely because of the “prior consent” clause for debt collection calls. The TCPA states that debt collectors don’t need prior written consent to call debtors but they do need prior express consent, something usually obtained when a customer fills out a contract or lease. Other conditions can apply, such as a customer who shares his or her phone number without any limitations. Solution: Use TCN’s cloud contact center solutions to track both types of prior consent, as well as when consent is missing. In addition, use TCN’s TCPA Checklist to help mitigate costly fines, penalties, and other repercussions. In 2015, a judge decreed a $40 million class-action settlement against credit card company HSBC. The company was charged with repeatedly sending automated messages to customers’ cell phones. The judge presiding over the case expressed some concern over the suit—it was the second multi-million dollar case he’d reviewed within a span of three weeks. Solution: For contact centers concerned about accidentally calling cell phones or doing so without prior express consent, TCN recommends using its Manually Approved Calling (MAC) feature. A component of TCN’s cloud-based call center, MAC can be used for all calls or in concert with TCN’s Predictive Dialer to increase agent efficiency. $1.3 million might seem like chump change compared to the other suits found in this article. However, many contact centers and debt collection agencies can’t afford to shell out over one million dollars in damages. In this 2014 class-action lawsuit, debt collector Real Time Resolutions Inc. contacted customers with cell phones listed on the Do Not Call registry. Solution: Use TCN’s real-time Cell Phone Scrub to help manage contact lists. The feature, part of TCN’s cloud-based call center, not only deletes cell phone numbers but also automatically populates DNC lists. The feature’s critical to compliance, not to mention a time-saver. Compliance matters, and federal regulations and oversight will only continue going forward. To learn more about TCPA compliance — and just how important it is — view the “Seven Costliest TCPA Mistakes in Call Center Operations” infographic today.